Decorate cupcakes with these easy cupcake topper printables. 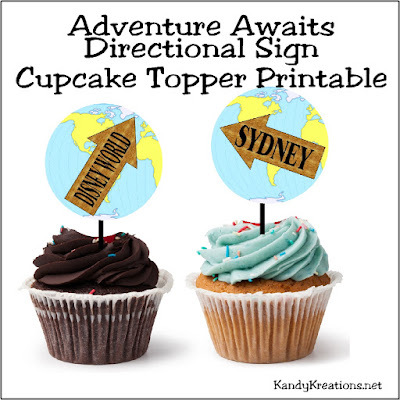 Each cupcake topper can be cut with a 2.5 inch circle punch and has a fun map background with directional signs to fun places where adventure may await this year. With our move being only a few weeks away now, I am planning one last birthday/goodbye party for my sons. I wanted to let them celebrate their birthdays with their friends instead of waiting until we live in a place they don't know anyone. But to help them get excited for the move and the adventure of the next year, we are planning an Adventure Awaits birthday party/ goodbye party. 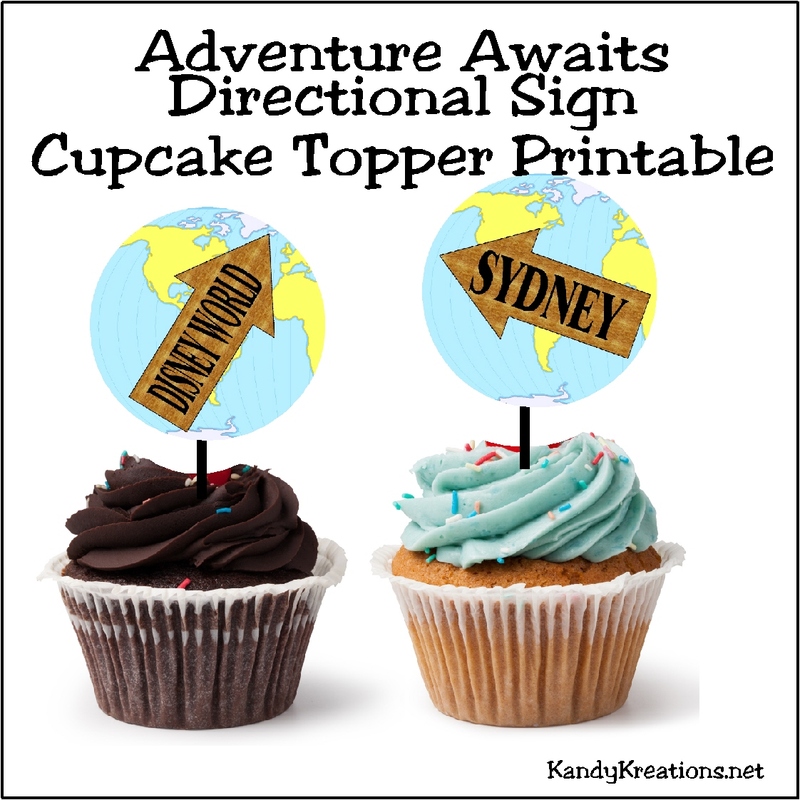 Today, I'm sharing the cupcake topper printables. 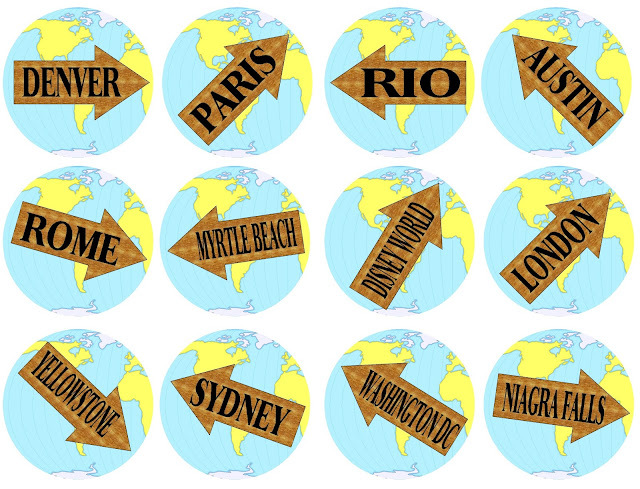 I wanted something super easy to be able to cut out, so I made these toppers with a map background in 2 1/2 inch circles. So you can use a simple 2.5 inch punch to cut these out and glue to a toothpick or skewer to add to store bough cupcakes or homemade cakes. Easy, is much better when you're in the midst of summer craziness, right?